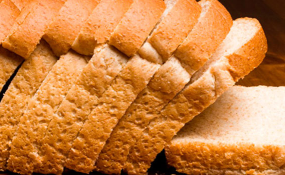 Zimbabwe's biggest food processing company this week said it is closing its wheat mills because it cannot import the commodity amid foreign currency shortages. Analysts say Zimbabwe's land reform program is the root cause of this and it is likely to cause shortages of products made with flour in the southern African country. The CEO of National Foods Limited, Michael Lashbrook, Thursday said he hopes Zimbabwe's government will help the company pay wheat suppliers so it does not have to close its flour mills. He said the government had made some local wheat available to millers, but he said quality bread flour required imported grain to be blended with local varieties. Panashe Chikore was hoping to get a temporary job at National Foods during the Christmas season. He is disappointed to hear the company's mills have to close. "When I was growing up, I looked forward to getting employment or those who are employed would take care of others, so that we all have a decent life," he said. "But if it is now like this, it becomes heavy. It is only that things got tough, I wanted a decent job to make be survive." Zimbabwe's economy has been ailing since the early 2000s when the country's farm sector went into a nosedive. Both cash and basic goods are increasingly in short supply, prompting calls for the government to fix the situation. Zimbabwe Farmers Union Executive Director Paul Zakariya says the wheat shortage is the result of controversial land reforms that displaced most commercial white farmers and rewarded black peasant farmers who had no experience and no resources to work the land. "When we had that adjustment in the resource that we call land, a lot of things in production and productivity in that sense was negatively affected," he said. "We saw the trends now going down from 2002 or 2001 when we hit a peak of 235,000 metric tons of wheat in Zimbabwe. We dipped to very, very low and pathetic levels of about 20,000 metric tons during the 2010 period up to the 2015 period." He says Zimbabwe can produce sufficient wheat again, under the right conditions. "Farmers in Zimbabwe, if they are supported adequately with the resources that are required, they can push the production levels to levels where the manufacturing capacity cannot even handle, because we used to do that." For now, there are fears that bread is going to disappear from store shelves and the price for wheat products will skyrocket, making life even more unaffordable for the average Zimbabwe citizen.